Is there a process methodology in place to control inputs and monitor outputs? What material considerations help ensure dimensional compliance? Do the fitment and dispense glands undergo hydrostatic testing? Are the liners subject to leak testing? Is there a 100% inspection per piece? What traceability measures are in place for the production process? Let’s break these down and find out how the implementation of these six questions individually—and collectively—contribute to a reliable and comprehensive quality validation program. This seems like a given. Of course, companies have procedures to follow for every department, and each department hands off to the next, etc. Product gets made and shipped out, so we can assume things are getting done correctly to keep the needle moving. But should we make that assumption? We hear a lot about continual process improvement, but what does that mean or require? It can involve methodologies such as lean, Six Sigma, the Agile process—or principles of different systems combined. Whatever a company chooses to use, the goal should be to have a system in place to control the inputs and monitor the outputs. When you have the proper process structures in place to begin with, they drive more fluid and effective quality control efforts—and consistently positive results. What we do: CDF uses Six Sigma methodology to keep tight control on all the input variables and monitor the performance outputs for production of our flexible packaging. As an example, when ordering material, we know exactly what our customer’s needs are and procure the material that will provide the specifications that the customer needs—FDA-approved material; size considerations, etc. Once on the production line, we monitor its performance through a variety of validation tests, measuring its output capabilities. Some companies only offer standard products in their portfolio, so you get what they produce, and hope that it answers your requirements for the product you want to fill it with and the subsequent dispensing, storing, and transporting of your product. If you had hoped to ship X amount in a case, but the supplier’s standard product allows for another amount, then you are stuck with that. The good news is that there is a sense of consistency and reliability in that, but what if you want to break into a new market, or consumer feedback tells you there is a demand for another way to offer your product? Is your supplier able or willing to perform the due diligence to enable a material change—ensuring they are sourcing from approved suppliers, getting the proper type, size, and dimension? What we do: While we have some standard flexible packaging available, our specialty is custom flexible packaging. The rigorous protocols we have in place with all of our suppliers serves us and our customers well when sourcing for special or custom packaging designs. Because we have long-standing relationships with our approved suppliers, we know that they have been vetted and will deliver materials to our—and our customers’—exact specifications. If our customer wants packaging of a particular type and size, with consideration for how many will fit in a box, we can reliably source, produce, and deliver that—consistently and repeatedly. We also implement a 100% dimensional test validation on the production line to ensure that nothing recalibrated on the production line. The questions above address some of the “input” measures a packaging manufacturer takes. Once production is underway, the focus shifts to monitoring and validating output. Even with the best processes, it’s necessary to validate that all the production variables remain optimal. The hydrostatic validation tests the quality of the seal of the film to the dispense gland. This pressure test ensures that the fitment and dispense glands are functioning properly and will not fail or leak under pressure. What we do: This test is considered a “destructive” one, which renders the product useless after testing, so we test one per hour. We plot and monitor the data to ensure it is above the specification. We look for the mode of failure; we want the film to stretch before it fails, before the seal pulls apart. We set a minimum value; if it is below this minimum value—that’s a problem, and the seal fails the inspection. In the event of a failure, we remediate immediately. Our full product traceability (which we will discuss further below) allows us to pinpoint where any problems might be. Along with all the other quality checks, the integrity of the liner is among the most vital for your product safety. Inflation tests ensure that the liner will withstand pressure and not leak or fail. 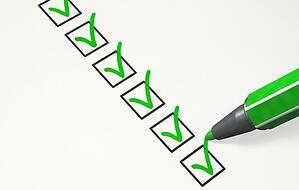 What we do: We also administer this validation on an hourly basis. To test the quality of the seal, we inflate the liner, and try to pull apart the seal. We are not monitoring pressure throughout the system, solely on the seals of the liner. We inflate it to a certain PSI. There may be some stretch in the film, which would indicate that the seals are holding. We let it stand for an hour and see if it holds. This may sound like an unattainable goal, but it is very possible—and necessary—when we consider how important your packaging is to the safe delivery, usage, and storage of your final product. Ask your supplier what systems and processes are in place to validate that your products pass inspection off the production line. You want any potential problems to be eliminated prior to products leaving the manufacturing facility. What we do: Each liner is inspected by at least two people, often more. When it comes off the production line, we have to fold it in a very specific way to do this correctly. Two operators inspect, fold, and pack it. They look for debris, “contamination,” and anything that might visually indicate that there could be anything wrong with the seal. If there is a crease, debris, or items that would deem it contaminated, it will get rejected. An example of contamination might be black particles that could be the byproduct of a roll change on the production line. With all this talk about validations and quality check measures, what happens if there is a problem? How will your supplier expedite remediation? Does the production line stop, your delivery date get pushed back? This is why traceability measures must be in place. Not only will a full traceability protocol help to prevent problems, but when they occur, having the valuable intel readily available allows for quicker resolution. What we do: At CDF, each liner has a shop order, and each liner has an individual sequence number. The sequence number gives a time frame when investigating problems. If a customer has a problem, we can narrow the gap with this timestamp of the potential source of the problem. Taking the example stated above—if something has black particles on it, that sequence number would reveal that its manufacturing time was 2 p.m. Our documentation also tells us that we performed a roll change on that machine. The indication is that everything before that should be fine; anything after that may be a problem. We can further investigate from there to confirm. Another situation may include suspect material that could be the result of a machine operator making an adjustment to a seal bar. We can quickly pinpoint and recalibrate as needed, and in real time, when possible. Because all processes are documented and traceable, it is important for customers to retain any problematic products and send them back to us. I our assessment, we can match the product to its documentation and get to the source of the problem. Sometimes it involves improper handling once it leaves our facility, and that would be important for all parties to know so we can provide our evaluation on proper handling procedures to them, if needed. We know how important it is for you to consistently deliver the variety of goods our packaging holds: food and beverage, paints, cosmetics, lubricants, and inks, among them. We’re committed to applying comprehensive quality processes to provide you with the superior, innovative packaging CDF is known for. We set out to disrupt the packaging industry with concerted efforts to meet the needs of our customers while also taking care of the planet. CDF Corporation has a long history of innovation in flexible packaging, from accordion inserts to unique IBC liner valves. CDF’s high level of expertise and service ensure a reliable partner for custom food packaging. As an SQF-certified facility, CDF has your food packaging needs covered. Download our Meta KD8 with Smart Pail brochure and watch two videos for more details about this innovative packaging system.